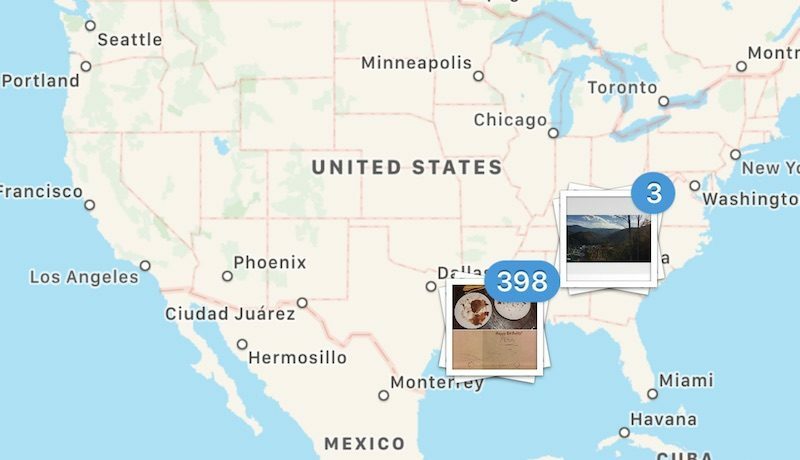 Photo-sharing service Instagram has begun removing its GPS-aggregating "Photo Maps" feature from user profiles. Some of Instagram's users may have already noticed that Photo Maps is gone when visiting another profile, with Instagram confirming to Mashable that it began phasing out the feature last week. Photo Maps will remain on your own profile tab "for now," but the company is expected to begin removing it from there as well in the near future. The simple reason behind its removal is how little the feature was used by the social network's 500 million monthly active users, especially in comparison to popular features in the app, like the Explore tab. “Photo Map was not widely used, so we've decided to remove the feature and focus on other priorities," the company said in a statement. The company confirmed that geotagged locations in individual Instagram posts will remain, so "you'll still be able to click on a location tag in an individual post and see other photos from that location as well as a small map." The move is believed to be a part of the social network's move towards capturing ground from rival Snapchat, while leaving behind parts of its service that don't generate much in the way of user activity. I actually like the map feature. Specially if you've travelled and want to find photos quickly that you geotagged at the time. Otherwise trying to find a photo from months and months ago can be a drag as Instagram doesn't let you search or pick a specific timeframe. I loved looking at this is remember all the places I've traveled. Imagine your photo map after 30+ years of traveling the world, I've actually thought about that. Here's hoping Apple will never remove the built-in one. I'll be happier when/if they phase out the new "Stories" buttons at the very top of the feed. facebook ruined instagram for me by killing the chronological order of everything. it was the only social media i personally enjoyed and now i'm simply not opening it up throughout the day like i did before. i just keep seeing the same posts. from 1-2 days ago. bugger all that. Photomaps was a privacy risk anyway. You can figure out and guess where a person lives by looking at their photomap. I tried this on one of my coworker friend who posts a lot of baby and family photos. She was shocked when I asked her if she lived between these two streets. Well I think she was more shocked when I told her Instagram was actually public and not friends only. Yes. But how is that our problem, when some people are too stupid to turn off the things they don't want to have shared? And really, if security is the only issue, it could be turned off by default and the people wanting it, could turn it on. I also use the photo map as a travel map and started to upload pictures from most places I've been. I enjoyed seeing my map grow and now it's all for nothing? And not even a real reason given as to why. Just because not all 500 Mio. users use it?? There should be some protest. Well, Apple has this feature baked into iOS. The only thing apple's does not have is the ability to share it without taking screenshots. Sometimes I find myself easier to find a photo through browsing maps than scrolling through long list of photos.